Long ago in ancient times many cities were developed in the desert despite the inhospitable environment it provided. During this time mankind not only prevailed in this harsh environment, they thrived in it, building the most miraculous cities known to this day. Some of these cities were so spectacular that they are renowned as part of the ancient wonders of the world. The Hanging Gardens of Babylon are one of the seven marvelous spectacles that existed in this time period with exotic flowers and other greenery cascading from the heavens. This city demanded attention and has been documented by many with its towering walls and beautiful landscape overlooking a vast, dry desert, although its existence is still questionable today. As the story tales by ancient sources the nature and idea of building this unbelievable feat came about through the King Nebuchadnezzar around 600 BC. The city was constructed for his wife Amytis because she was homesick from her verdant and mountainous homeland Media. She was depressed from the flat and arid landscape of Babylon, thus the elaborate garden was constructed to replicate her lush homeland (Ancient History). New evidence provided by an 18 year study by Stephanie Dalley of Oxford University has concluded that the gardens were not built by the Babylonians but instead by the Assyrians in the north Mesopotamia. She believes that this unbelievable feature was achieved by the Assyrian king, Sennacherib. Sennacherib describes his city as an “unrivaled palace” and a “wonder for all peoples.” He goes on to describe the water – raising screw made using the new method of casting bronze. “Dalley said this was part of a complex system of canals, dams and aqueducts to bring mountain water from streams 50 miles away to the citadel of Nineveh and the hanging garden. The script records water being drawn up “all day” (The Guardian). 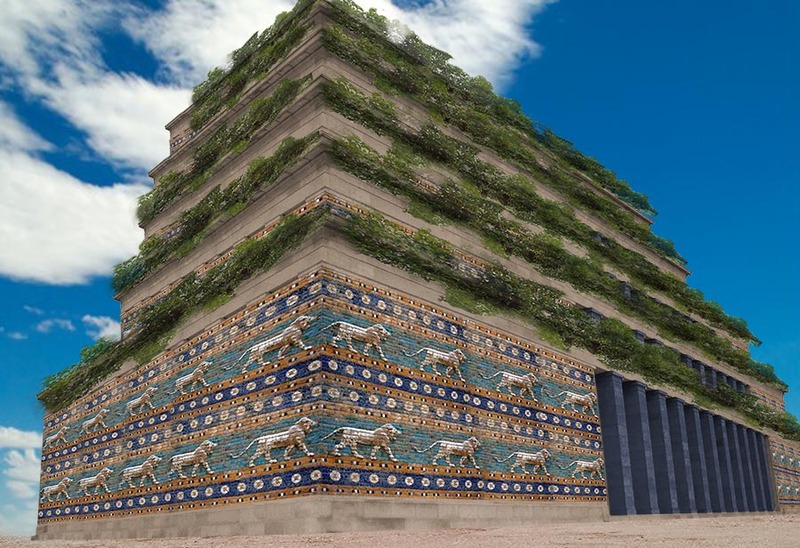 To date there is no archeological evidence proving the existence of the Hanging Gardens in Babylon, even with Dallas’ research concluding a huge garden was built by the Assyrians the true identity and whereabouts of this remarkable city are still unknown. However, there are accounts documenting this marvelous city and therefore allow it to remain as one of the ancient wonders of the world.